Wide base travel mugs are deeply underrated if you ask me. They are great for both the office and for the commute. The thing is if you are at a desk a wide bottom mug won’t tip over so easily due to a flying elbow and if you are driving they sit safely on in number of surfaces without tipping over. Personally they are my favorite. In today’s article, we are going to discuss the best wide base mugs that are available for you, right now. We’re going to briefly review all of them so that you can choose the right mug for your situation. 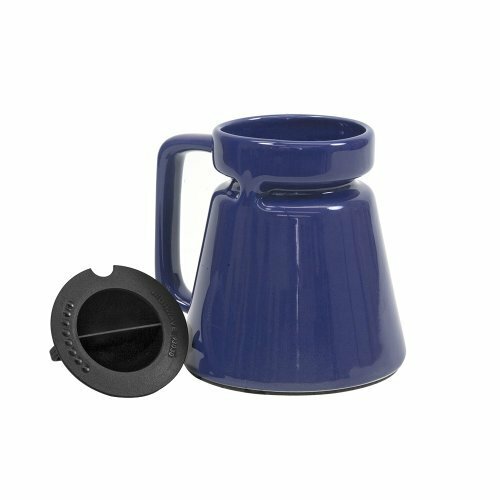 Before we get to the list make sure to see this article if you are buying a travel mug for a keurig coffee maker. Many of the wide bottom mugs won’t fit under them. So now let’s take a look at those wide base mugs, shall we? Now, you narrowed down your options and think you might want to go for a great travel mug? Great accomplishment, right? Nope, not really. The companies found that market niche out long ago and they have come up with a lot of models. In fact, there are so many available that it’s super easy to get confused (and that’s why I’m here)! Let’s begin with a model that’s super easy to distinguish because of how it looks- the Chubby Cup! This model is actually named after its look, but, that’s not all that earns this model the top position on this list. 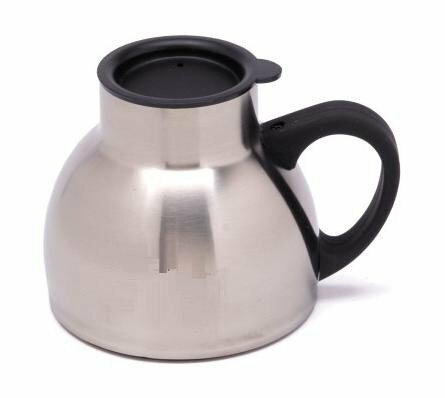 This model is also made of stainless steel (making it both aesthetically pleasing and durable), is thermal insulated (making it able to keep your coffee warm for longer), making it one of the best models out there thanks to its reliability. 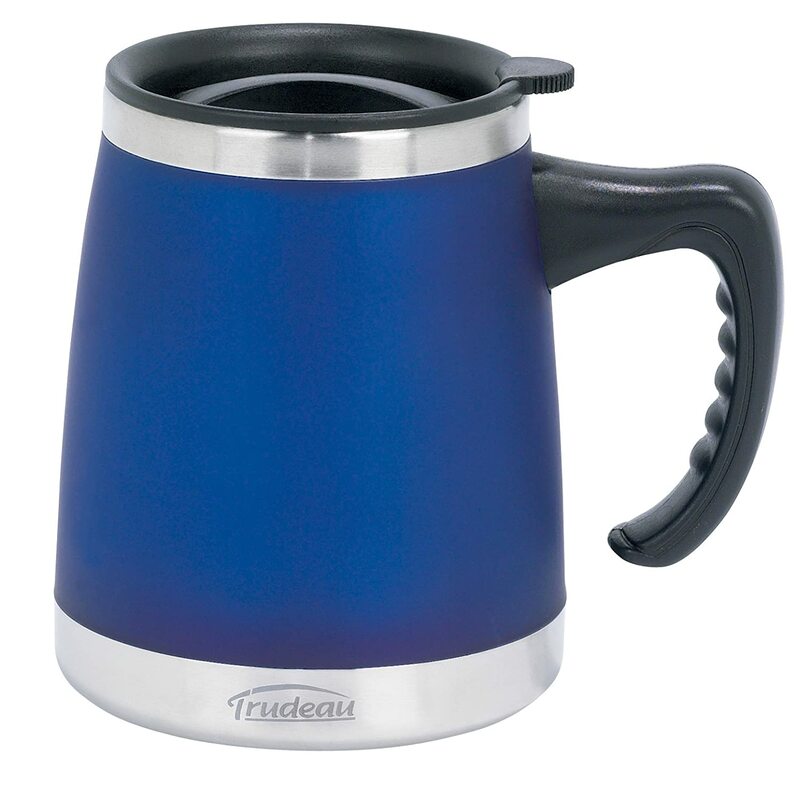 The ThermoServ Foam Insulated Wide Body Mug, again, is yet another model that you simply can’t help loving. 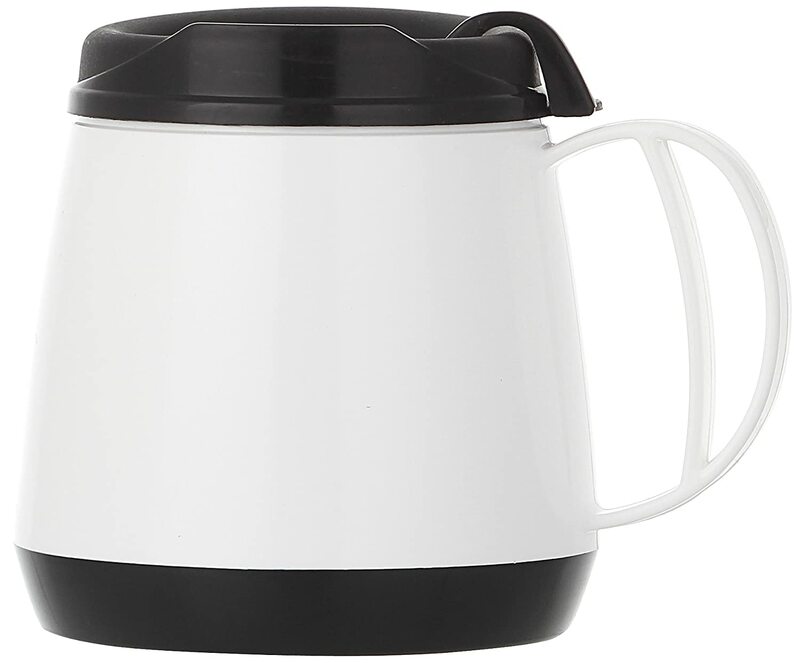 This model has a really different look that’s bound to catch your eye and it’s a well insulated model ensuring that your coffee will remain warm, even if you just leave it alone for a long time. All of these things combine to make this yet another model that’s really loved by all the people who have used it so far- yet another reason to go for this model! This model is followed by the Trudeau Umbria Desk Mug. This model actually has a pretty unique looking handle. While several models do have an attractive one, this is bound to capture your attention- and that of all those around you, simply because of how beautiful it is. So, if you want to be the center of attention, guess what? This model is the best for you, because it’s bound to capture all the attention around you! A really great model that’s really loved and really worth going for. All the people who have used this model really praise it, making it a really good choice to go for. But that’s not the only model that all the people who have used it love. The Low Rider No Tip Desk Mug is one more model with users that are willing to swear it’s the best- making you wonder what actually is so special about it. According to them, it’s a really efficient model, but the only way to know for sure is to give it a shot, yourself. And honestly, after listening to what they are saying, it does really make you curious. So, if you’re planning to get a model that has a positive record so far, this seems like the ideal choice to go for. 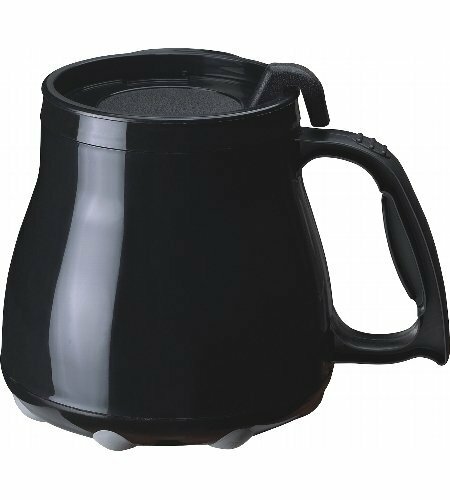 The Highwave Wide Base MoJOEmo Coffee Mug has been designed really cleverly, so that it can be properly insulated. 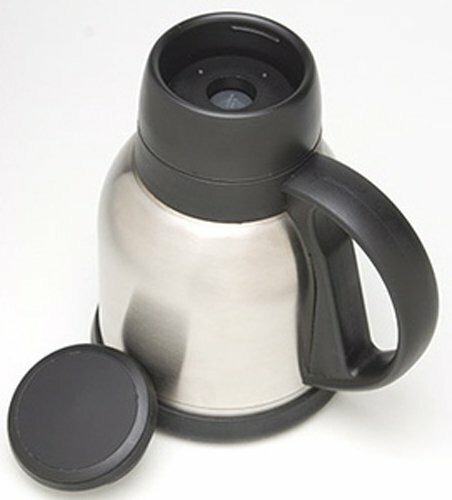 Aside from its really beautiful look, this unique design also lets it keep your coffee warm for a really long time. Those might be the reasons why this model is so loved by all the people who have used it so far. At the end of the day, these things make this a really great choice for anyone who’s looking for a Wide Base Coffee Mug. So, I really recommend that you get this mug if you’re looking for one; and honestly, it’s actually one of the ideal ones to go for right now! And let us conclude today’s list with one more model. The Highwave Hotjo Travel Coffee Mug (18oz) is yet another mug that you simply can’t help loving. This model has an unique design, too (Did you notice that all the products on today’s list have pretty unique designs?). The unique design makes this 18 oz model well loved one by all the people who have already bought it. It also continues to remain a recommended model in this market, giving us reason enough to make it a part of this list, a really great model to try out if you’re searching for a unique option that keeps its quality. You might have already started to wonder how we selected the products that we mentioned in this list- it’s natural of you to wonder, since even we agree that it’s really easy to get confused. Well, we managed to keep some specific things in mind to judge these models and help us find the best options that are available out there. The first thing that we had to keep in mind for this article was a wide base. Next, aesthetics also received consideration, because that’s important to a lot of people. You don’t want to ruin the look of wherever your mug will end up, so we’ve done the hard work for you and chosen the models that would look good anywhere. Again, this article is about the best travel mugs. So, it was equally important to consider the capacity of the mugs that we were going to list. We couldn’t simply talk about a huge mug and call it travel friendly, right? Another point is the economic factor. Yes, that’s always one of the things that you must consider. You simply can’t choose something that’s not economically sound for you. Now, there were so many things to consider, as you just saw. You must understand that it wasn’t really easy. A lot of thought and research had to go into the making of a list, aside from experimenting with them to write the reviews. So, all we can say is that a lot of hard work finally led us to the conclusions that ultimately created this list. We hope that you find at least something new and informative in here. We also hope that you’ll be able to get at least one step closer to finding the best model for yourself. Keep in mind that we’re here for you, and we’re always on the lookout for opportunities to help you find the best model for yourself. Now, there might still be a lot of questions coming up in your mind. It’s usually at this point that you might start to ask me a ton of questions and that’s completely understandable. 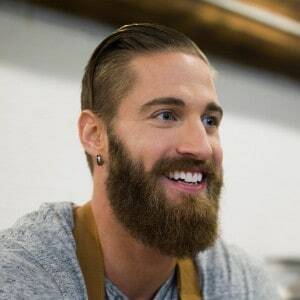 However, since this isn’t exactly a conversation and you can’t ask them to me while I’m writing this, I’m going to answer the most common questions right now and I’m going to ask you to not hesitate to just leave me a message through the “contact us” section of our site should you have any queries. Yes, this is one of the things that seriously requires clarification. Some people might be under the illusion that the structural peculiarity comes along with issues with the functional quality. Well, it’s important to understand that that’s not the case at all. Please know that it’s only a structural specification and it has no functional counterpart, so there is no reason to be worried. The function is just the same as any other model and the big base is just a special feature! Are the small models any different from the larger ones? Aside from capacity/size, not really. The whole containing and insulating mechanism is mostly the same, it’s only the size that’s different to suit some specific cases. What are some of the features I might look for? As I said earlier, this depends on what your needs are. Some people look for a better grip feature, while some people look for a better insulation. So, the best feature that you might look for varies with your needs, but keep in mind that there is a model dedicated to serving every need and you just need to search properly. At the end of the day, all these models are available out there and you can just go out and buy any of them right now, but that’s not all that there is to it. You must still remember that you’re buying the model for yourself, therefore, you must know all your specific needs and make sure that it serves those. That’s the only way to ensure that you’re being a smart buyer and that you’re actually making a smart investment. It’s important to consider all the aspects before investing in a product, however minor it might seem in the first place- because nothing is truly minor in life. You must be aware about your specific needs and judge the product according to those needs. It is important to understand and to keep in mind that the best model out there isn’t always the right one for you. The best one for you is the one that does what you need it to at the most reasonable price. So, keep that in mind and you can consider yourself to be on the way of being a really smart shopper! Gamble Bay Coffee is here for you all the time and you’re free to reach out to us for any help you might need! We hope you’ve learned something from this article and we promise to be back with more really soon!